With Valentine’s Day approaching nothing says ‘I Love You’ more than the glitter of gold, but this year make sure you spread the love a little further by choosing the perfect present that has the Fairtrade Gold Stamp. 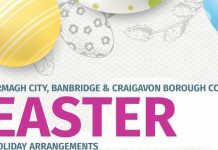 Armagh, Banbridge and Craigavon became a Fairtrade Borough back in May 2017. The council are committed to spreading the message and promoting the importance of Fairtrade; helping miners, farmers and artisans to get a better deal, which means they can make their own decisions, control their futures and lead the dignified life everyone deserves. Fairtrade Gold products range from bespoke designs to beautifully crafted collections, buying these products will make a real difference to the lives of miners, their families and communities. Jewellery with the Fairtrade Gold Stamp is extra special. Buying it means you know the small-scale and artisanal miners were paid a fair price, giving them financial security. They also receive extra money to invest in building the future for their families and their communities, through education, medical care and environmental projects. Fairtrade Certified Gold is the world’s first independent ethical certification system for gold and is the latest chapter in the Fairtrade success story. 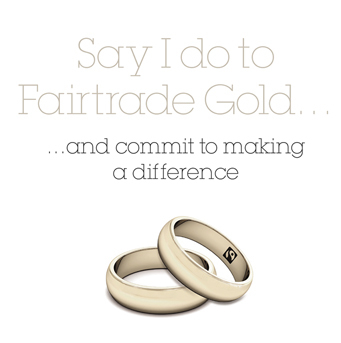 Fairtrade gold is just another way in which we can all play our part in helping improve the lives of more than 1.66 million farmers and workers in 74 developing countries. If you won’t be going for gold this Valentine’s Day there are plenty of other products which carry the Fairtrade logo, including flowers and chocolates. So, when you are out shopping for the perfect valentine gift, look out for and consider purchasing gifts with the Fairtrade logo. These gifts will not only be unique and well received but they will also let that special person in your life know you’ve made a real difference to the lives of many others by buying Fairtrade. As part of “Fairtrade Fortnight”, which takes place from 25 February – 10 March 2019, the council will be collaborating with local schools and businesses on a number of events to promote the importance of Fairtrade, details of which will soon be posted on the council’s social media platforms.